The $80 bln drugstore chain warned that profit growth would slow down. Fewer customers and the loss of a couple big contracts were factors. Industry-wide pricing pressure adds to the challenge. Two big deals last year worth a combined $14 bln may be causing bad side effects. 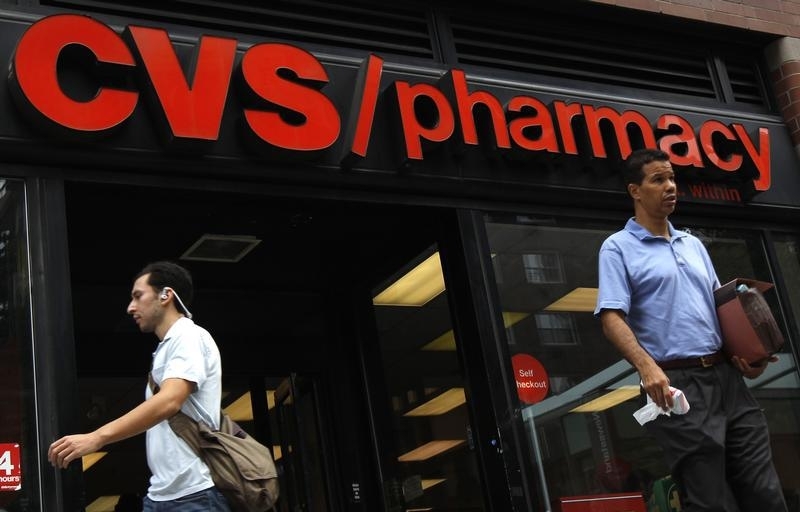 A CVS pharmacy is seen in New York City July 28, 2010. CVS Health, the No. 2 U.S. drugstore chain, on Nov. 8 cut its full-year profit guidance and warned that earnings in subsequent years would grow more slowly than initially expected. The company's shares fell nearly 15 percent during morning trading in New York after it cut its 2016 adjusted earnings forecast to $5.77 to $5.83 a share, from earlier expectations of $5.81 to $5.89. Net income in the third quarter increased 23 percent to $1.5 billion from a year ago. The Rhode Island-based company said it expected 2017 adjusted profit in the range of $5.77 to $5.93 a share, well below the average estimate by analysts of $6.52. CVS added that it expects to fill 40 million fewer prescriptions at its retail pharmacies next year following the loss of two big contracts, including one servicing the U.S. military. CVS said that the earnings contribution from two recent deals - last year's $12.6 billion purchase of pharmacy services provider Omnicare and the $1.9 billion acquisition of Target's in-store pharmacies - had been weaker than expected.